Old Blood Jewelry at Art Star Craft Bazaar. On Aug. 7, the 2nd Street Festival will return for the eighth year. Craft vendors, food trucks and live entertainment will line Second Street from Germantown to Spring Garden in Northern Liberties. The all-day block party, which begins at noon, is free to attend. There will be three stages, six taverns open, 20 food trucks and more than 150 vendors. 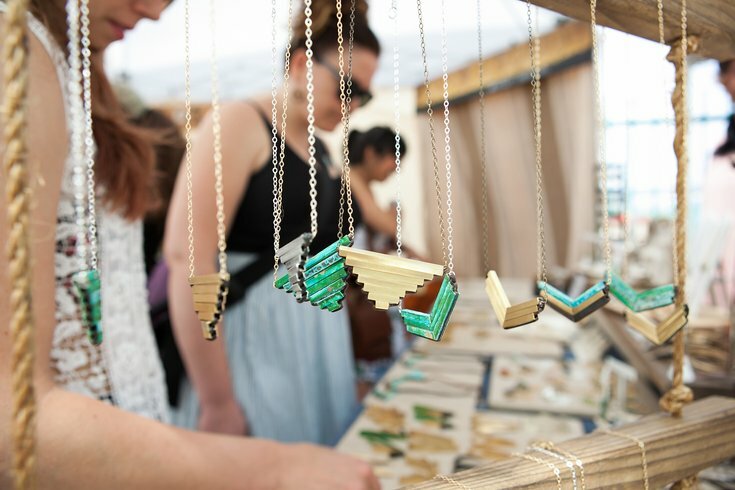 Art Star Craft Bazaar will have its own pop-up section, located between Fairmount and Green streets. Bow ties for pets, unique jewelry, posters and prints, soap, ceramics and other goods will be available.